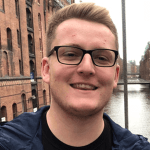 Josh Waudby (@Josh_Waudby) previews West Ham v Fulham and provides us with his best bets for Fridays Premier League clash by analysing team news, potential line-ups, head-to-head, key stats and facts and more. I think both sides will come into this in slightly lower positions then they would have expected by this point, with the signings both squads made in summer. West Ham admittedly are sat in 10th place which after the start they made under Pellegrini is a wonderful turnaround, however at the start of the season they would have hoped the gap from them to 5/6th place was much smaller. Fulham although have made improvement under Ranieri they still sit 8 points adrift from safety and with the end of the season closing in they need to start winning games soon. West Ham come into the game winless in 5, their last win came against Arsenal on the 12th of January. They also will be extremely disappointed with their performance in the FA cup against AFC Wimbledon, which saw them lose 4-2 and get knocked out of the cup. A game against an inferior squad may be exactly what they need to resurrect their recent poor results. It seems they now have very little to play for as they will not challenge the top 6 and also will not get dragged into a relegation battle so they will be bitterly frustrated at their inability to get past Wimbledon in the cup. Fulham don’t boast much better form as they only have 1 win in their last 5 and have lost 6 of their last 7 games. Ranieri will start to feel the pressure soon as a few more games without a win could see it become an impossible task for his side to escape the drop. Fulham have been quite unlikely as it comes losing 2-1 to spurs with a late 94th minute winner from Winks and also lost 2-1 to Burnley when they scored all 3 goals, 2 in the wrong net. West Ham’s injury woes aren’t getting any better. They are still missing Balbuena, Lanzini, Nasri, Reid, Sanchez, Wilshire and Yarmolenko. Many of whom have been out for months on end. Lanzini, Balbuena and Nasri all have a chance to return but would be unlikely to start. Fulham are missing hard man Alfie Mawson and goalkeeper Bettinelli. Havard Nordveit is in line to make a return. West Ham came out victorious in the previous fixture with a 2-0 away win at Fulham. Over history Fulham have the better of West Ham, winning 47 of the meetings and losing 32, with 23 draws between the pair. In the last 10 years West Ham have won 8 of the games, Fulham have won 3 and there have been 2 draws. Arnautovic and Anderson have been key players for their side this season, the pair have 15 goals and 5 assists between them and have also had slightly injury hit seasons. Mitrovic has 10 goals and 2 assists in the campaign and if Fulham were to creep to safety it would surely be all thanks to him. West Ham have seen both teams to score land in 3 of their last 5 games, and the two that weren’t it was themselves who failed to score, and I would be extremely surprised for Fulham to keep them at bay on their own turf. Fulham equally have seen both teams to score land in 3 of their last 5. With both sides slightly injury hit and not in the best form it sets up well for it to be a very open game, as both teams are desperate for the points. Both teams average above 4 corners per game, West Ham averaging 4.85 per game and Fulham 4.31. West Ham also concede an average of 5.12 per game and Fulham concede 5.73 per game. A lot of these games are against much superior teams aswell and West Ham have had 7 corners against Arsenal and also 8 against Manchester City. Fulham got 5 lost time out again Manchester United and also got 7 against Spurs.